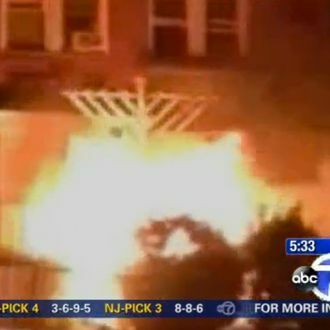 Whoever set fire to the six-foot wooden menorah outside Chabad Lubavitch in Brooklyn on Tuesday night is at least familiar with the Hebrew calendar. As if it weren’t bad enough on its own, the suspected arson, which is being investigated by the NYPD’s Hate Crimes task force, occurred on the eve of Rosh Hashanah. “Knocking something like this down is making a big statement, trying to destroy an essential part of the Jewish religion here in New York,” said a local chaplain.